504 Main by Holly Lefevre: DIY! 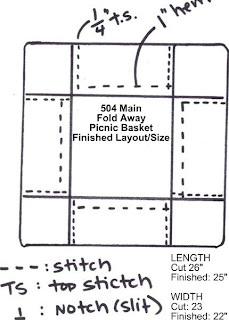 Picnic Perfect Fold-Away Basket! Back in July Sawdust and Paper Scraps had a little Christmas in July party and I was a part of it. Now I am sharing my project at my place! I found a great fold up picnic basket at a thrift store and whenever I use it I get a ton of compliments. That got me thinking...I wanted my take on the basket to be different...and then I remembered my mom made me an Easter basket when I was about 9 (yes I still have it and it is used by my daughter). So I took the features I liked of both these baskets and combined them into my take on a Fold-Away (personalized) picnic basket. I know there are a lot of steps, but it is really not that complicated. it only took my 1.5 hours to finish - with kiddos running around too! 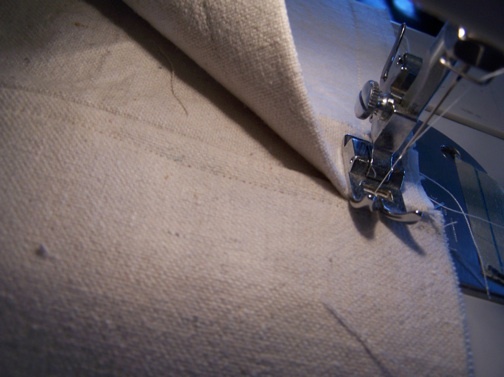 you do not have to have super-sewing-powers to do this! 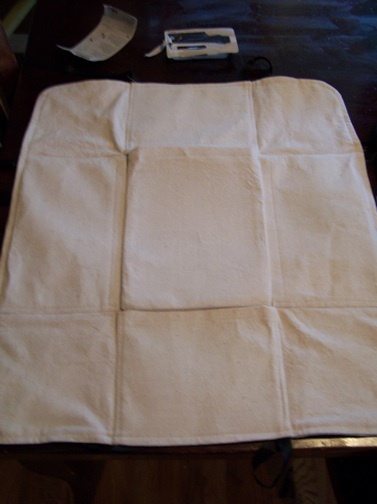 About 2 yards (this gives you extra) Canvas, Denim, Duck Cloth - I used a Drop Cloth. 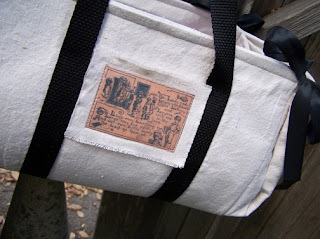 You can sew this in oil cloth (more on that in the NOTES section). NOTE: I thought I was going to be thrifty and make this in a vinyl tablecloth that I found at a discount store...it started off OK, but was quickly reminded why I hate these tablecloths - it is crinkly, and rips really easy - so while the tablecloth only cost me $3.00 it ultimately was a waste of time....spend the extra money if you take the time to make this. NOTE: YOU MAY SEE SOME STEP USING THIS RED TABLECLOTH. 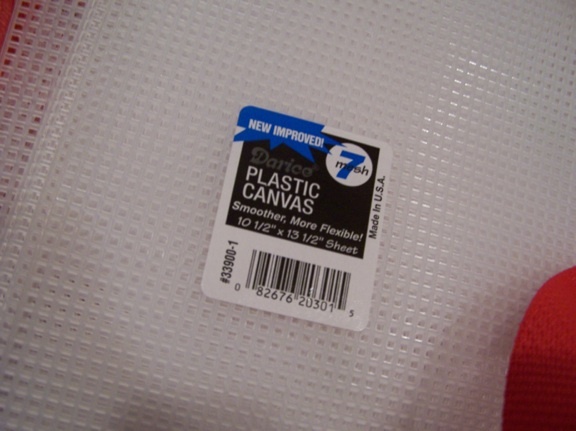 5-6 sheets of Plastic Canvas (about 99 cents each). NOTE: Sadly my local fabric store has a limited selection of options for the siding and this was what I came up with - bonus it is cheap. Bonus, I do not mind the relaxed look. I recently found some Styrene (used for glass crafts) and that may work. Illustration or foam board could work too...but I was looking for something waterproof. 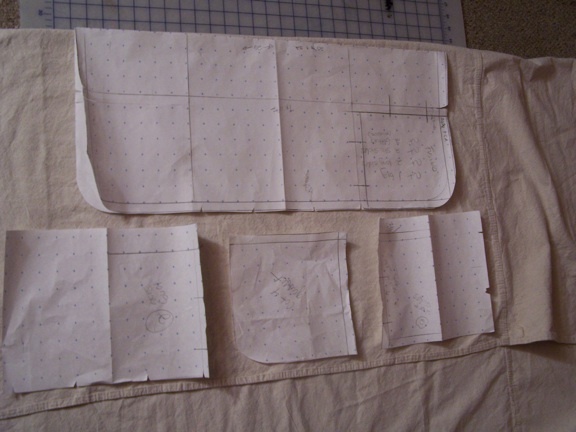 Make the pattern on a large piece of paper (posterboard, newsprint, etc.). 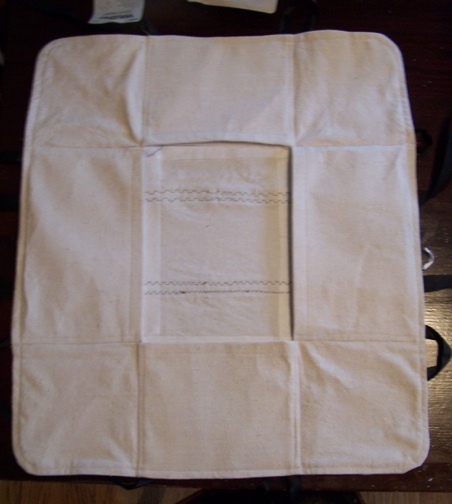 NOTE: I did one solid piece for the outside of the basket and pieced the inside of the basket together so that there were pocket to easily access/remove the plastic canvas for washing. 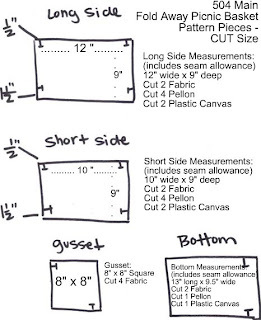 ALL SEAM ALLOWANCE IS 1/2", EXCEPT WHERE NOTED ON HEMS = 1.5". 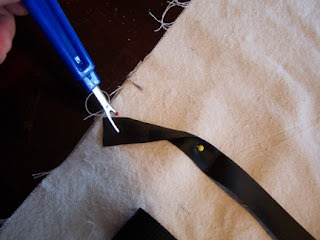 A Notch is a small slit - Make a quick snip of the scissors no more than 1/4"deep. FINISHED DIMENSIONS: 25" x 22"
Along the long - 26" side - make a notch 7.5" from the outside edge on both sides. 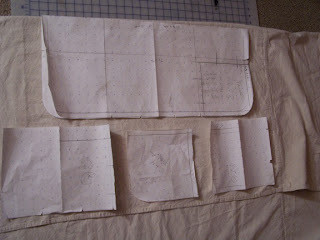 This will tell you where the finished sides/folds of the gusset will be and help place the twill tape for closure. Along the shorter - 23" side - make a notch 7.5" from the outside edge on both sides. Cut 2: Plastic Canvas subtract 1/2" from finished dimension. Should be approx. 6.5" x 7.5"
There is a bottom hem of 1.5", and 1/2" seam allowance on the other three sides. Cut 2: Plastic Canvas subtract 1/2" from finished dimension. Should be approx. 6.5" x 10.5"
Make a notch 1.5" up from the bottom of the piece to mark where the hem is. 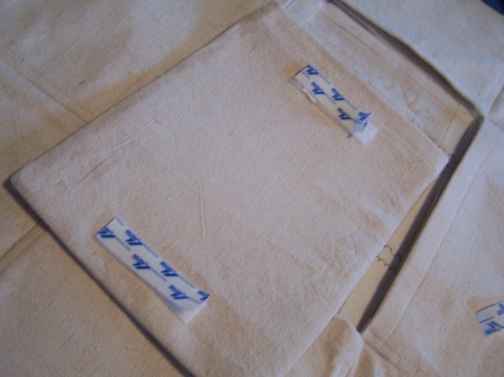 From the center point (Fold piece in half) measure over 2" and make another notch through both sides of fabric - this marks where your straps line up. NOTE: You may round the outside corners as a styling detail or you can leave them square. I rounded mine...just use a rounded cap and match it up to the side line and trace the shape. Cut 1: Plastic Canvas subtract 1/2" from finished dimension. Should be approx. 8.5" x 10.5"
Cut 8 lengths 15" long. 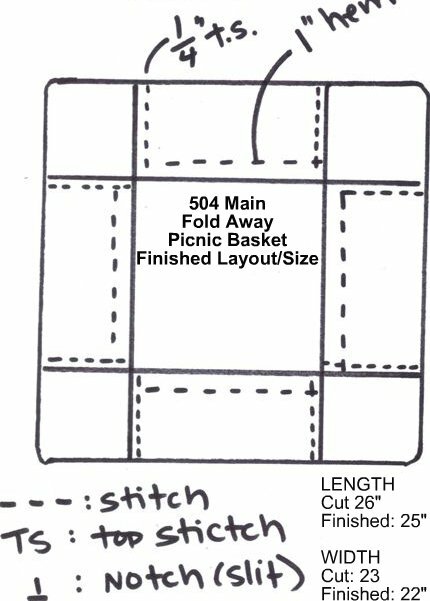 NOTE: I LIKE TO CUT PATTERN PIECES THAT ARE SYMMETRICAL ON THE FOLD - FOR EXAMPLE, THE OUTSIDE (LARGE) PIECE IS FOLDED IN HALF LENGTH WISE AND LAID ON THE FOLD FOR CUTTING. 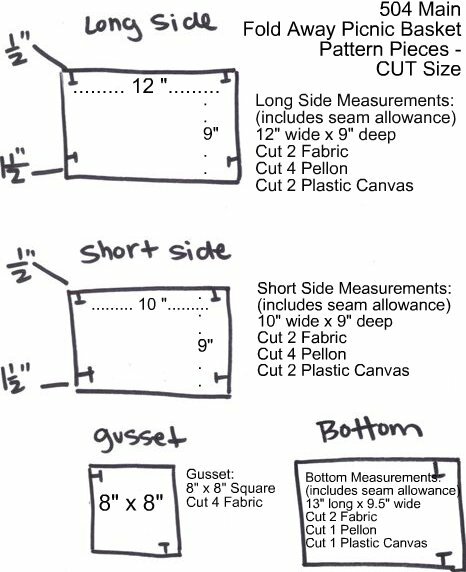 Be sure to keep the pattern pieces going the same way - for example all inside pieces should run with the length of the pattern following the length of the fabric. 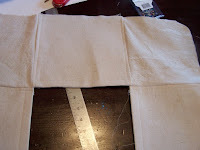 The outside piece just needs to be lined straight on the length of the fabric. 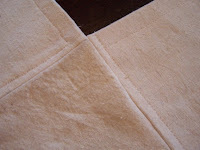 All hems are 1.5" (I turn my hems under 1/2" for finishing and them press under 1" for stitching. Cut webbing to be about 96" long. 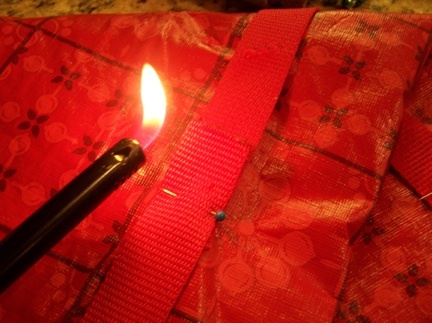 Once cut carefully use a flame to seal the ends of the webbing so it will not fray. Take the outside cover and lay it on a flat surface RIGHT side up. Using the notches that are 4" apart in the center of the long side, layout the handles. 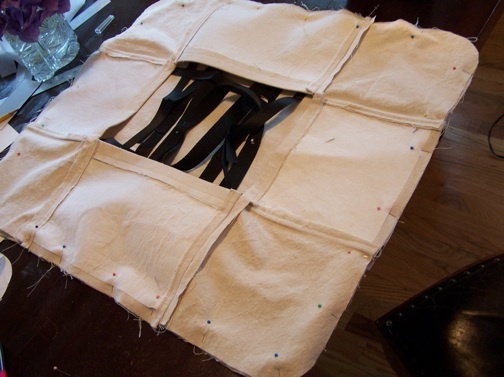 Start in thee middle of the bottom with the edge of webbing. 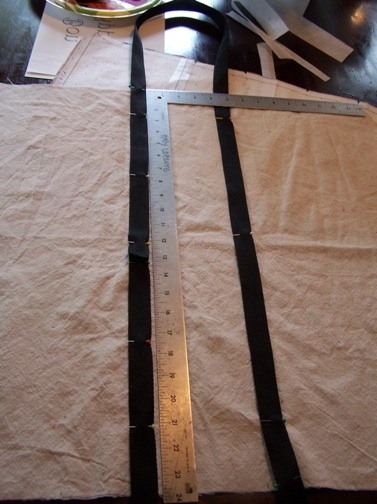 If necessary, lay a long ruler (or L-square or yard stick out connecting the handle notches as a guide). Pin webbing down to the cover. Towards the top of the basket, stop approx. 2.5" from the edge, pin, and measure out 24". Loop the handle being careful not to twist it and come back on the opposite side and begin pinning 2.5" down from the top). Repeat above on other side. 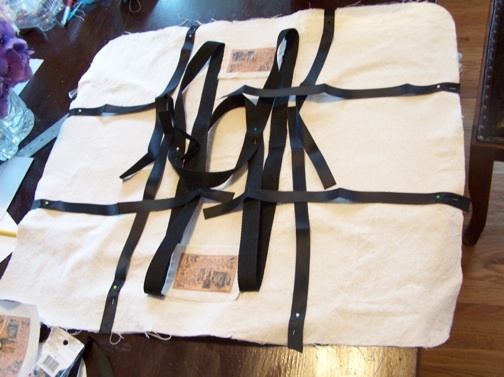 You will end where you started and overlap the webbing by 1" +/-. NOTE: YOU DO NOT NEED TO CUT THE WEBBING, except at the correct measurement...IT SHOULD REMAIN IN ONE PIECE. Stop at the 2.5" mark, leave needle down, turn and sew across the width, leave needle in and turn and then continue back down the length of the webbing;. Repeat until as you approach the middle bottom of the basket where you started. Overlap your webbing and continue sewing up to the top of the last handle. Using a hot iron and follow directions on the Pellon for best results. 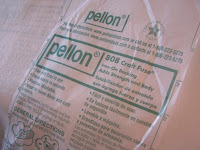 Fuse the Craft Pellon to the (wrong side) of the fabric. 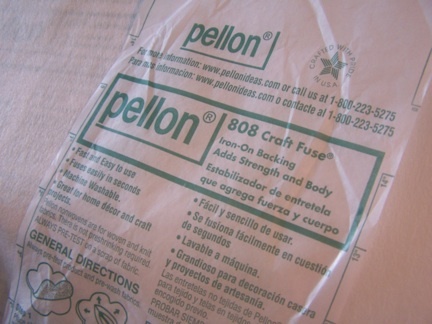 Place Craft Pellon on inside pieces and outside piece. Iron Pellon into place on the wrong side of the large (one-piece) outside basket. Iron Pellon onto the inner and bottom pieces of the basket as well (wrong side of fabric). 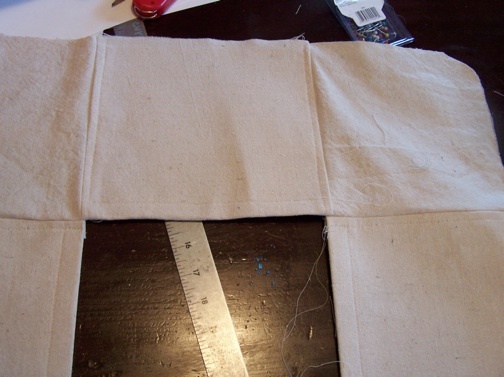 Use notches to line up pieces. NOTE: Follow direction on the Pellon for best results. Use a 1.5" hem and leave this side open. 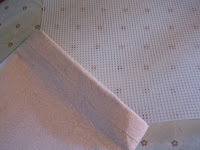 Then sew gussets to the short sides. NOTE: You may have to clip the point of the gusset where the two hems come together. You are basically sewing into a point. 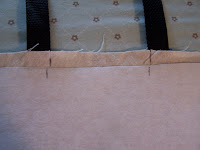 Press seams and turn seams to the inside and topstitch at 1/4". I selected an "L" from The Graphics Fairy, Victorian ABC's. I knew I was goignt o make matching napkins too! 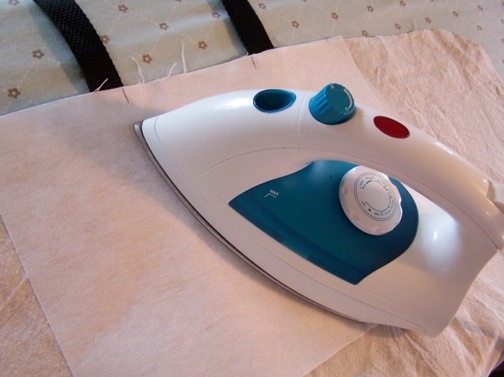 If you choose to do an iron on transfer or fabric paint, do it now while the fabric is single layer and flat - so much easier. When I did my iron on the product I used was old or bad and it did not stick correctly, so I made patches with the iron on detail and topstitched them on the basket. 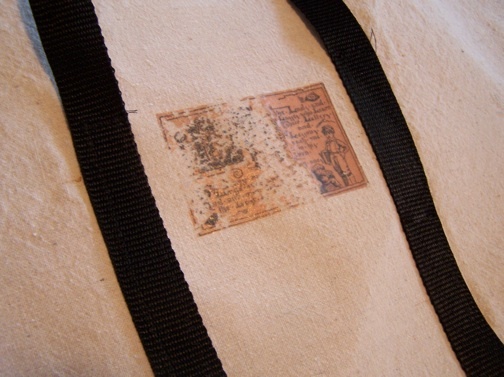 A small patch with the iron on transfer topstitched onto the basket. I actually like the additional detail it provided. 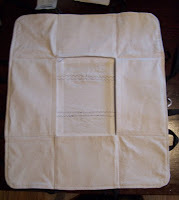 With right side of outside laying face up, place inside/lining on top with right sides facing each other. 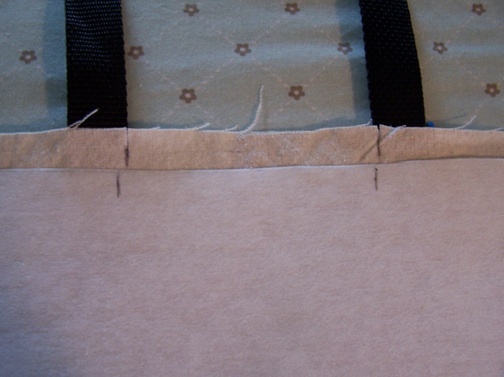 Place the twill tape on the inside of the notches - the seams from the gussets should also line up here. 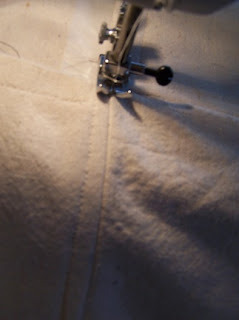 Pin into place (I like pinning...if you are really skilled you may not need to). 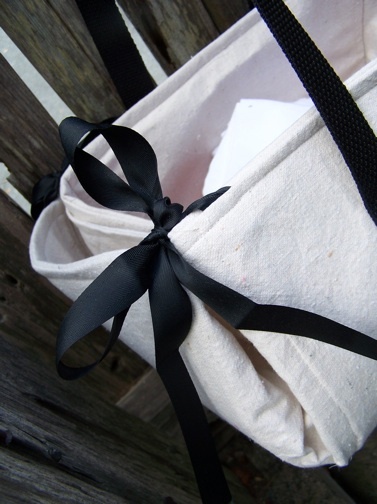 Be sure the handle/webbing and twill tape is laying towards the inside of the basket and not going to get sewn into the seam. (I folded mine up a little and pinned it to the middle of the cover. Sew all around the edge with a 1/2" seam allowance (usually a 1/4" seam allowance is used for inside seams, but this area could get a lot of wear and tear, so I suggest 1/2"). Clip corners (or curve) and flip cover. NOTE: I also stitched the gusset to the outside cover. I did this by pressing the inside, laying the entire piece flat and sewing with the inside facing me with a single stitch into the seam (not the top stitch) from the gusset. Cut Plastic Canvas pieces according to cut quantities needed above. 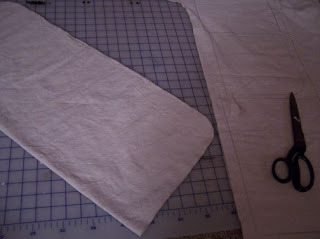 Cut 1/2" TOTAL off the length and width of each piece. Depending on your sewing it may be a little more - you can always measure how big your pockets actually turned out. 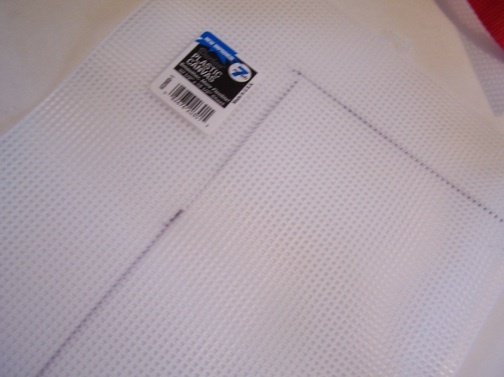 Insert Plastic Canvas (cut to size) when complete. Apply double stick Velcro tape to the bottom insert; removed sticky side from opposite side of tape and press into bottom of basket. You could try the iron on vinyl on a regular fabric too- I have NOT tried this, but as of right now see no reason it won't work. So...my hubby thinks picnics are ridiculous...I disagree! What's your fave picnic treat? You are one of the most creative people I know! That is a great project! I think it would make a fantastic gift. I need to go through the instructions carefully because I would love to make one. I disagree with your husband, I LOVE picnics! 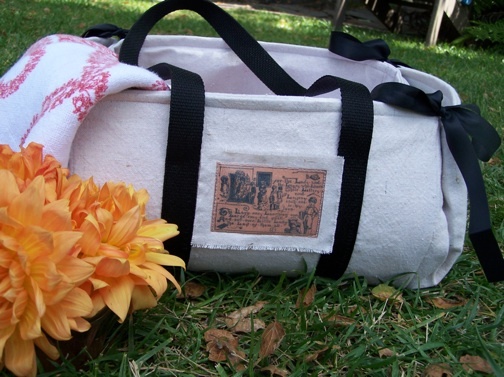 We especially like to pack things to grill at the beach or the park when we take road trips. 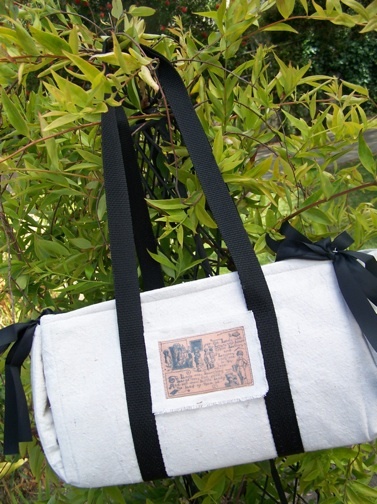 Fantastic work with the bag Holly. We enjoy fresh fruits on our hiking/picnic adventures. This is adorable, Holly! If only I sewed! I've never heard of anyone not liking picnics! I love that you get to feel extra creative putting things together for a picnic (or maybe that's just me). It just makes mealtime more fun! holy cow girl! LOVE IT. 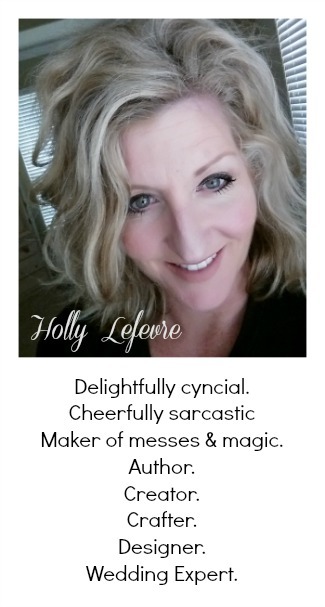 i am featuring you wed... too fab! This is so cool Holly! I love that it folds away!! Very cool! Maybe there are a ton of steps (and there are, you're right) but WOW that is such an awesome bag!! That's amazing! You are so talented! I love picnics. We don't go enough!! Wow clever you! It's lovely! Wow! This is amazing! You are extremely talented! Thank you sharing this really an awesome, thanks for the post. This is awesome Holly!!! Cute,Cute,Cute! !